Gerad Taylor - Rosie Riviter homage. 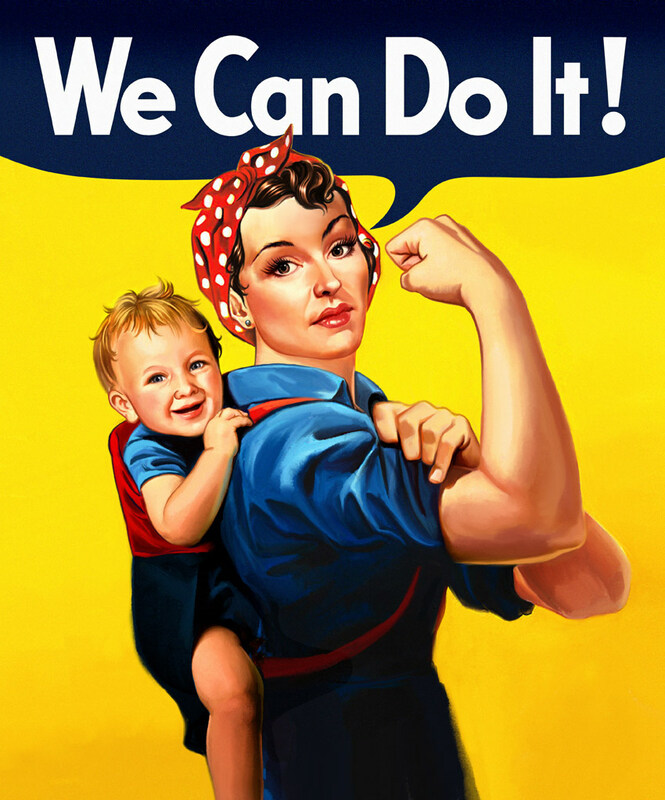 This take on the famous feminist icon - Rosie the Riviter illustration features (a new Rosie) with baby in a backpack. Commissioned for the cover of The Environmental Defense Fund Solutions magazine summer 2011.